Our mission is to protect the ocean. Last week, we did not make it to our planned destination. Last week, we had 2 failures for every success. Last week was a very important week for Rozalia Project, and for me personally. Because, last week, as we dealt with weather that blocked our plans and we set off to master our equipment in preparation for the real objective, I had a revelation. It turns out, I love kelp. Have you seen it outside of the coast of California? I had not, not really. Here in the Gulf of Maine, it's BEAUTIFUL; colorful with purples, yellows and greens and the most incredible motion in the undersea current. Kelp forests are fish nurseries, in fact, for all the time we spent with the ROV in the water last week, the only place we found fish in waters up to 80' was in the kelp forests. Let me repeat, the ONLY place we saw fish was in the kelp forests. We flew the ROV over the top of kelp forests (like helicoptering over the canopy of a rainforest) and we put GoPro cameras down in-between the stalks. In the evenings, we looked up the types of fish we found, learned about the ecosystem around the kelp forests and watched and re-watched the best parts of the videos. 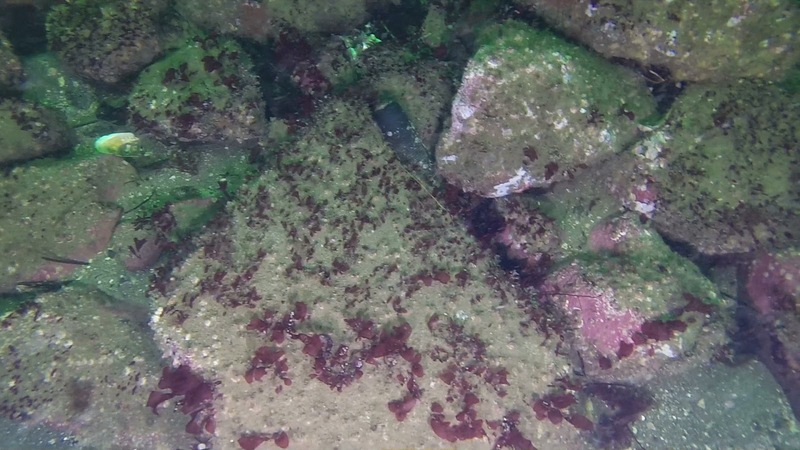 Then, we took our underwater cameras to an area that had been bottom trawled. We do not know the exact date when that had happened but the area was essentially barren. There were a few stalks of kelp growing deep in rocky crevasses and right where the rocks and sand met (and some trash). Otherwise, it looked like a wasteland. We saw 2 fish near the few pieces of kelp that had survived or re-established themselves; only 2 fish. That led me to my revelation: bottom trawling does not just need to stop in protected areas, it needs to stop, period. 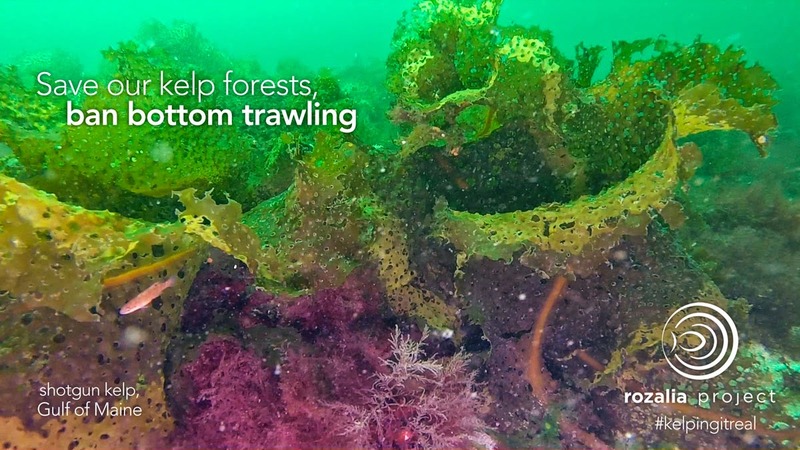 We've been doing some research and simply can't come up with a justification for the level of destruction that bottom trawling causes: we do not just lose the plants, we lose a whole ecosystem - the creatures who depend on the kelp to feed and grow, the creatures in the sediment who need the fish to poop, the big creatures who feed on the little ones and beyond that, bottom trawling scoops up fish, dolphins, whales and turtles who were never meant to die and whose death will not do any good. So, we are going to expand our work. We started Expedition PROTECT to save Cashes Ledge and its kelp forest and ecosystem from a proposal to open 75% of that currently protected area to bottom trawling. And we are still on that. But, we are also going to take on protecting all kelp forests - starting with the ones in the Gulf of Maine. 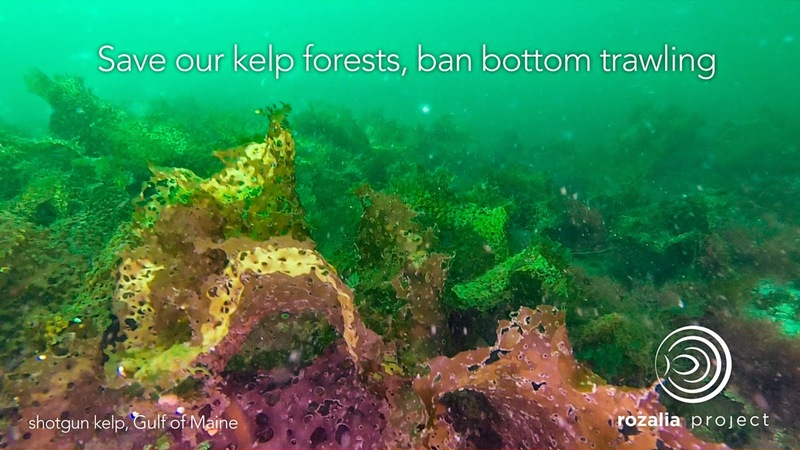 The only way to do that is to completely ban bottom trawling - stop the destruction of the kelp forests and the decimation of whole ecosystems. Personally, this is a bit new. Honestly, no one has ever argued against our work with marine debris. The issue may offer lots of opportunity for discussion on whether education, remediation or research is the best way to spend one's time addressing trash in the ocean, but no one has opposed our fundamental message that marine debris is dangerous and bad for the marine environment. This issue, on the other hand, does have sides. There are people who try to downplay the negative effects of bottom trawling by saying that the technology has come a long way, that these fisheries support families and culture. We will have opponents. Bring them on. In the case for or against bottom trawling, I am having a hard time finding arguments for it as a fishing technique. We either take the drastic steps necessary to ban bottom trawling and allow our ocean to thrive or we continue to see planet-wide, long-term loss of shocking proportion, all for the short term benefit of a few large companies and 10 minutes on a plate. People have the choice to do the right thing and adapt to a new reality; the ocean may simply not be able to bounce back - unless we take action to preserve our kelp forests! It starts now, we have an opportunity in the fall to save Cashes Ledge. I hope you will stand with us and support our work with a donation, with your signature, and with your ability to share and spread the word. Although cool breezes and grey skies may hint at the contrary, summer is in full swing here on American Promise. Hector, our ROV has already taken a dip, each intern has gotten a turn at the helm, and our galley is fully stocked with chips. Expedition Protect is underway! The inspiration for this expedition comes from the current controversy at Cashes Ledge, an area in the Gulf of Maine that has been under protection since 2002. 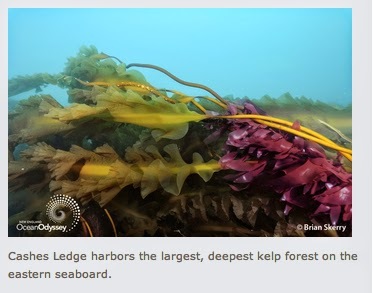 The Ledge contains the Atlantic seaboard's largest and deepest kelp forest, which serves as a safe haven and nursery for declining ground fish species as well as whales, sea turtles and more. Come September, NOAA will consider opening the area to bottom trawling. Such a destructive form of fishing has obviously raised some eyebrows, including those of the interns onboard for this expedition. Each member of Expedition Protect hails from New England. We’ve got an environmental chemist, the daughter of a Gloucester fisherman, an environmental engineer, a pre-vet major, and an ocean-cruiser. 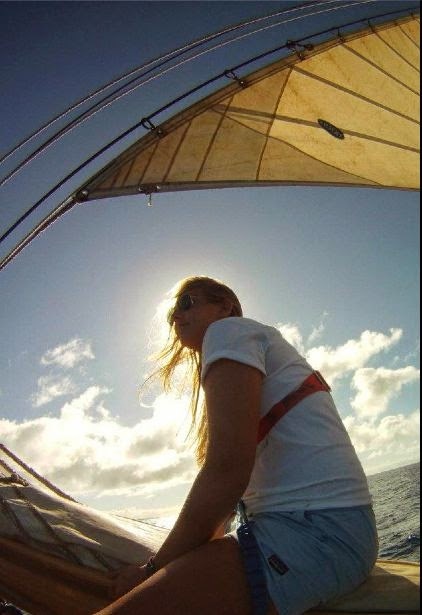 Each intern joins us with a different point of view, but since each intern feels a personal connection to the ocean, this expedition is a passionate one. Earlier this week, American Promise sailed out to Jeffrey’s Ledge, another MPA in the Gulf of Maine. Over a delicious lunch of pesto panini (and potato chips, of course), the crew marveled at the grace of minke whales who were also lunching in the area. Recreational fishing boats buzzed about, whale watching tours wandered up and down the Ledge, and American Promise sailed on, observing the amazing biodiversity and activity within the protected ledge. Experiences such as this are the perfect example of why such areas need continued protection from commercial fishing. Over the next three weeks, American Promise will be working in the Gulf of Maine on Expedition Protect. To support this expedition, you can make a donation to Rozalia Project, or sign the petition organized by Conservation Law Foundation to keep Cashes Ledge protected. Check out our videos so far... Intro video and video from Jeffrey's Ledge! Stephanie Lee, 2014 intern, comes from Los Angeles and studies Marine Biology at the University of California San Diego. You don’t experience much nature in a big city like Los Angeles. One of the beautiful things about California, however, is that all types of terrain are a car’s ride away from the metropolis. The mountains are my neighbors, the desert is my backyard, and the ocean is a stone's throw away. When you tire of the hustle and bustle of the city, you have many options for getaways. My particular favorite is the beach. Nothing is more relaxing than the push and pull of the waves, the white noise of crashing surfs, and the ocean spray kissing your face. I can stare off into the horizon for hours on end, taking in the beauty and majesty of the Pacific Ocean. It is the perfect pastime for me, except when the thought of marine organisms dying from the pollution crosses my mind. Instead of letting it bother me every time I step onto a sandy beach, I decided to become more familiar with this subject by expanding my horizons. I was not aware of just how much trash gets dumped into the ocean until I volunteered at the Santa Monica Aquarium. It was saddening and enraging to discover that people can get sick from swimming in the ocean after rain falls in Los Angeles due to the chemicals and debris that wash in from the storm drains. If people are negatively affected by the rubbish that flows from the cities, how would the animals feel? There are so many people helping people already, but who helps the organisms that live beneath the waters? The ocean is their home and it’s getting destroyed as a consequence of human development. I hope to gain the knowledge and experience I need to combat this issue through my internship with Rozalia Project this summer. I have a vision of a cleaner ocean in the near future, and I am determined to reach it. 2014 Intern, Katherine Sullivan, lives near American Promise's expedition base in Kittery, ME. She is a small business owner and teaches Marine Biology and Scientific Inquiry at York Community College in Maine and is excited to get her hands dirty, sandy and salty to make a difference to our one, big ocean. 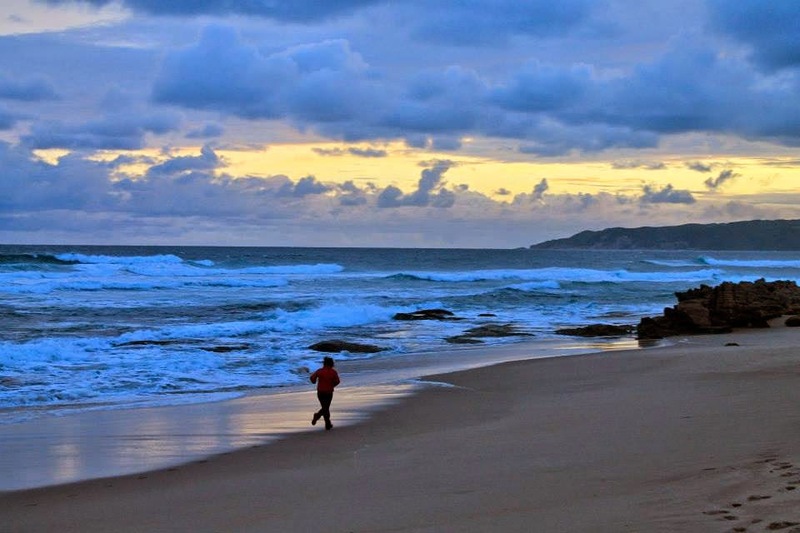 What inspires me to act on behalf of the oceans? Let’s start with this. Crabs might have six legs, but they don’t have any hands. They are detritivores, and do the best they can, but they can only handle organic debris. They need us two handed types to take care of the inorganic debris. It is the oneness that inspires me; that we and the crabs share a common ancestor, that there is only one ocean, and we all depend on it for continued good health, as organisms, as a planet. We have given different parts of the world ocean different names, and in doing so have created a false sense of separation between us as humans, and between humans and the animals and plants that live in different parts of this amazing planetary circulatory system. 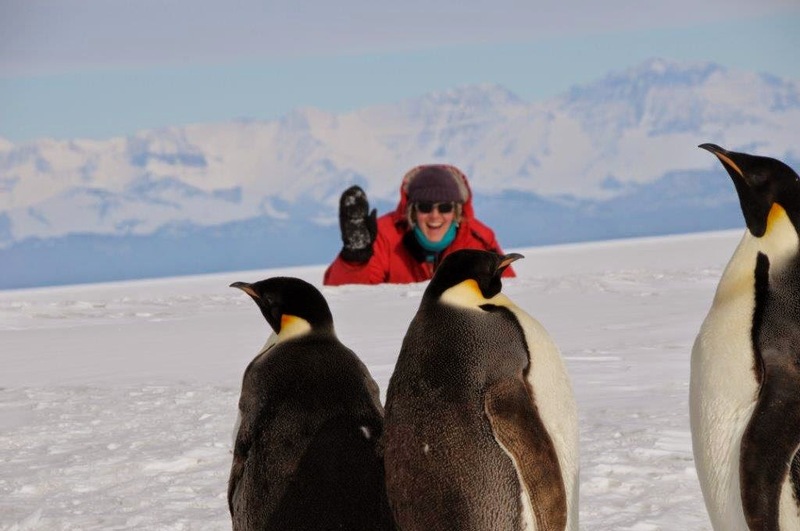 I’ve included a photo of my friend celebrating the return of the Emperor penguins from the sea as they paced past McMurdo Station this past March. They were curious about everything they passed, taking the time to look at anything that seemed out of place to them; they sniffed and prodded and looked out of each eye, turning their heads this way and that, picked items up and flung them around. They looked her right in the eye, out of each one of their eyes. They moved on when they felt all was as it should be. It is our responsibility to do the same, to be curious when things seem to be out of place, to look the situation right in the eye and decide what the right way to handle it is. I love it that I was standing on the shore of the North Atlantic at the same time she was watching penguins make their steady way across the Ross Sea ice shelf. I love it that the current that moves up the North Atlantic shore originates there in Antarctica. I tend to think that whatever we can do here in the Gulf of Maine to work towards a clean ocean will certainly have a positive effect on our local finned, furred, feathered and six legged pinching distant cousins. I believe that it will also sound a subtle positive echo all the way through the sea to Antarctica. 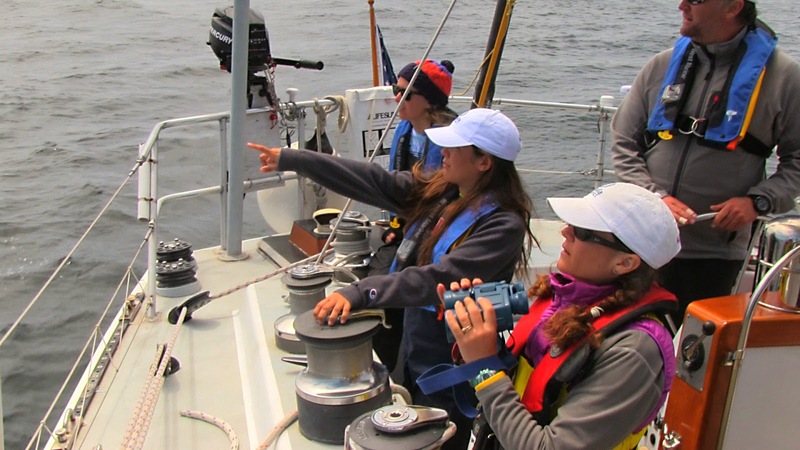 This intern blog comes from Hannah Tennent who is on the verge of graduating from Bowdoin College with a major in Earth and Oceanographic Science. 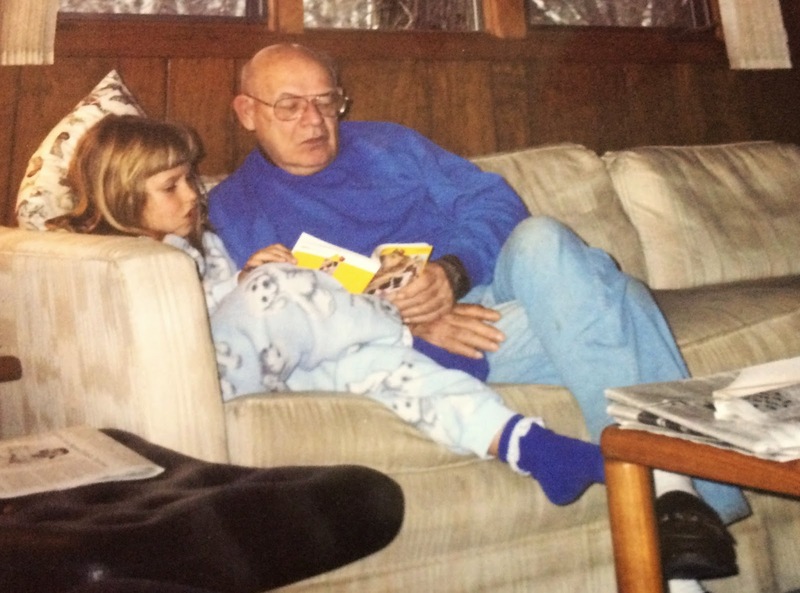 As a shy, socially awkward child, I usually wasn’t comfortable unless I had a book nearby. I slept with them as other people slept with stuffed animals and I only mastered tying my shoes after receiving an awesome cardboard shoe-shaped book with laces. My preschool teachers let me take the books outside, which was generally against the rules, because they knew I wouldn’t enjoy recess without them. Thankfully, as I grew taller and older, some of that shyness faded and I no longer needed books with me at all times, learning how to be comfortable without them and around people. Therefore, it came as somewhat of a surprise when I learned I was most comfortable and happy outdoors. As a self-identified shy bookworm, I didn’t expect to love lying out under the stars, hiking above the tree line, and stumbling over my laces in the dark of caves. However, I am wildly happy that I do. Having grown up in New Mexico and now residing in Maine, I have been lucky enough to frolic in and enjoy so many different landscapes. In my opinion, nothing will ever beat the golden light of sunset on a desert, but I have learned to love and appreciate Maine’s rocky coastline. Also, Mt. Katahdin showed me not to scoff at peaks just because they aren’t part of the Rocky range. Just as my parents knew to read to me at night when I was scared, I now know that I want to work outdoors, learning to be a steward of the land that is so important to us, both as an economical and emotional resource. At this point in my life, after four years of college, the Rozalia Project fits my desires perfectly. I can’t wait to use both my body and brain to find fulfilling ways to spend my days. It is so exciting to get the chance to be part of a community that is dedicated to repairing the dysfunctional side of humans’ relationship with the environment. This intern blog comes from Dana Wilfarht. Dana grew up on the North Shore of Massachusetts, graduated from Roger Williams University with a semester with Sea Education Association along the way. On the water, life becomes simpler. Necessities become the bare essentials, a little bit of comfort and nothing more. While on a forty day Pacific Ocean crossing with Sea Education Association, the motto “Ship. Shipmate. Self.” became a serious reality. It was difficult to understand the relevance of this phrase but once land was out of sight, this seemed to be prevalent each and every minute while at sea and more-so, now, on land as well. First must come the ship, or the planet, as they are what supports life as we know it. Next come shipmates because relying on each other is not only more enjoyable but truly necessary. Finally, it is important that we consider ourselves. After studying marine debris on this trip across the Pacific, the magnitude of the problem we are facing bared its ugly face. Very quickly the idea of a simple lifestyle became much more appealing than going back to the consumer driven lifestyle I was familiar with before. It was humbling to see the world with a different set of eyes. How did our world become so disposable? Single use plastic water bottles are more the norm than refillable. Plastic bags are everywhere and are used as a convenience for a minute or so, but then last in the environment for thousands of years. Our focus shifted from quality of life to creating conveniences that accommodate our new, fast paced lifestyles. Though we cannot travel back in time and save the planet from ourselves, what we can do is to research and educate. I believe that knowledge is the most powerful drive of change. If people knew the real damage that our single use plastic, styrofoam, etc. is causing, I am hopeful that there would be a big shift in how we live our lives. Chaos to simplicity. Quantity of material goods to quality of life. Appearing happy to true happiness. Today, you'll hear from 2014 intern, Valerie Pietsch. Valerie attends Cornell University studying environmental engineering and just wrapped up a semester in Hawaii! 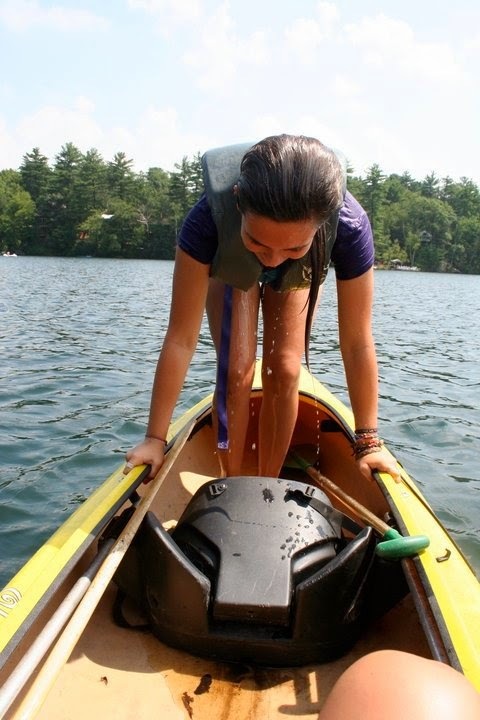 My summer memories at Camp Thoreau were some of the most defining experiences of my life. It was here that I learned to love the outdoors and to want to protect nature. 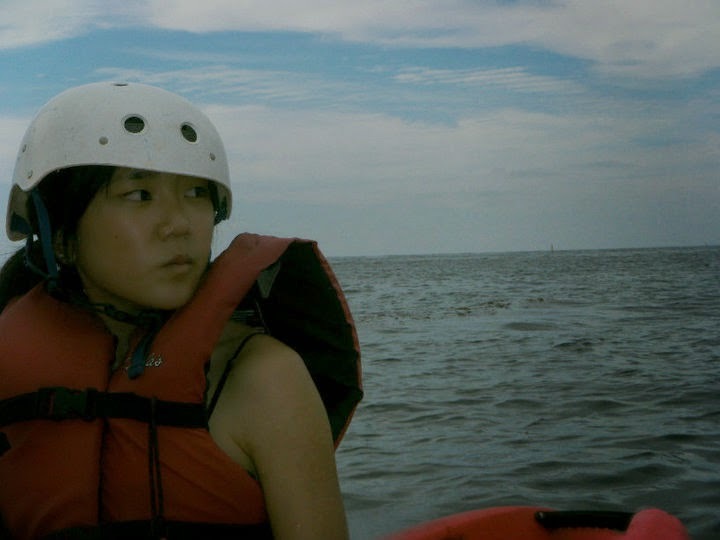 As a camper, I learned to sail for the first time at the age of eight, on small Sunfish boats on White’s Pond. I remember an overwhelming feeling of freedom and adventure when being on the water, and spent as much of my free time there as possible. As a counselor, I continued spending my time on White’s Pond, now teaching this skill to young campers. Getting to college, I enrolled as an environmental engineering major. Although I wasn’t sure exactly where I wanted to go with this, I knew that I wanted to protect and restore the environment so that others could connect with it in the same way I was able to. Over the years, it has become more and more apparent that water quality is where my interest lies. I think this passion has stemmed from visiting my family in Colombia. There, tap water must be boiled before use, and bottled water is the main source of drinking water. Having grown up with constant access to clean drinking water, this was mind-blowing to me. More recently, I was fortunate enough to spend a semester in a field studies program in Waimea, Hawaiʻi. I have been able to travel around the Big Island, as well as Oʻahu, Maui, and Kauaʻi. Connecting to the ‘āina (land) is a huge part of the Hawaiian culture, and my time here has allowed me to understand nature in a much more intimate way. In our marine conservation class, I was able to spend class time wading through coral reefs, learning about different types of coral and surveying the health of each reef. We spent time watching whales breech and dolphins spin from shore and on a boat. During our first class out, I spotted something strange at the bottom of the reef. I swam down and pulled it out, and sure enough it was a car floor mat. It was an eye-opening experience for me to see something so dull and familiar in such an incredible and foreign place. Free diving underwater, I heard a whale song for the first time. It was shocking how close the whale sounded to me, and I couldn’t believe what I was hearing. I was also able to get my scuba certification while in Hawaiʻi. 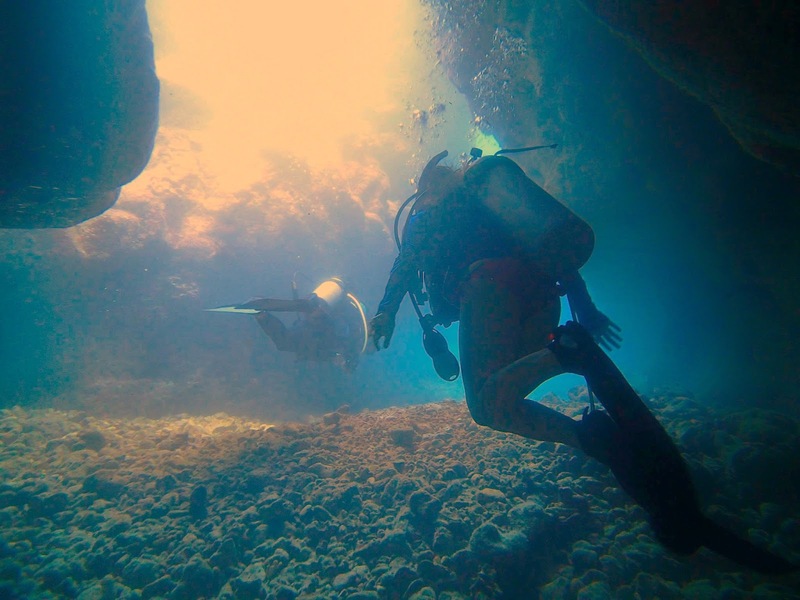 Scuba diving for the first time was a completely surreal experience, like entering a completely different world. Always having loved adventure and exploring new places, I couldn’t wait to get back out there. I currently am spending my last few weeks in Hawai’i interning with both a local scuba center and an educational outreach group, removing marine debris from and educating others on coral reefs. I have loved the work I have done here so far, and I can’t wait to continue exploring and protecting the ocean as an intern on the Rozalia Project this summer.